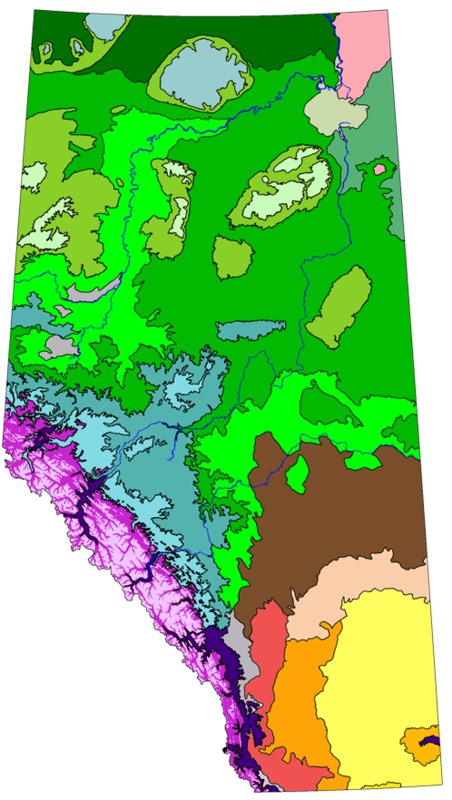 Alberta’s Natural Subregions represent the current distribution of our ecosystems across the province. 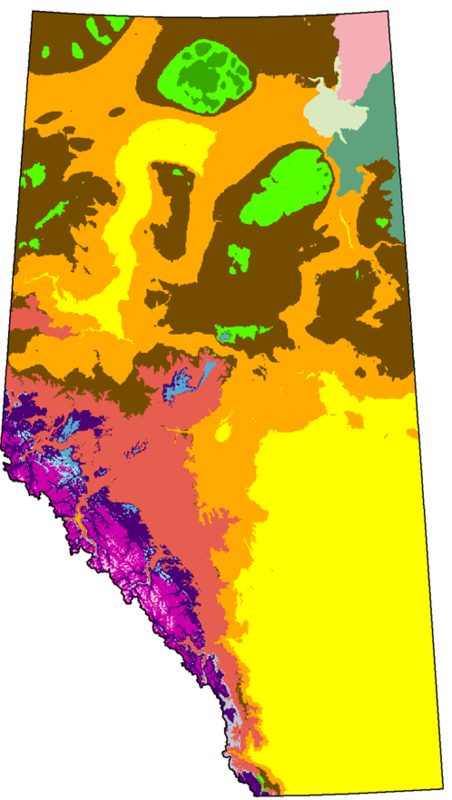 As climate change progresses, Alberta’s ecosystems will shift in response. 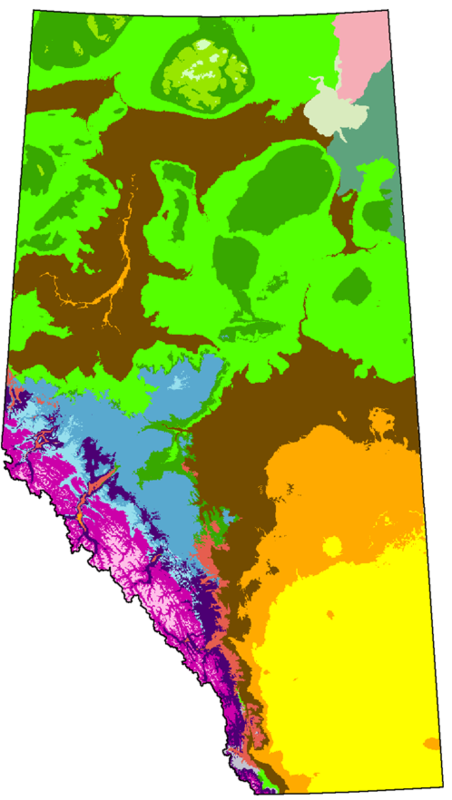 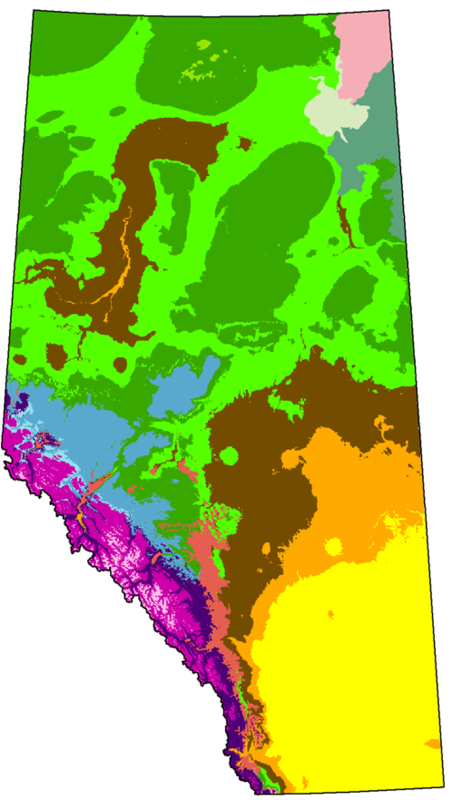 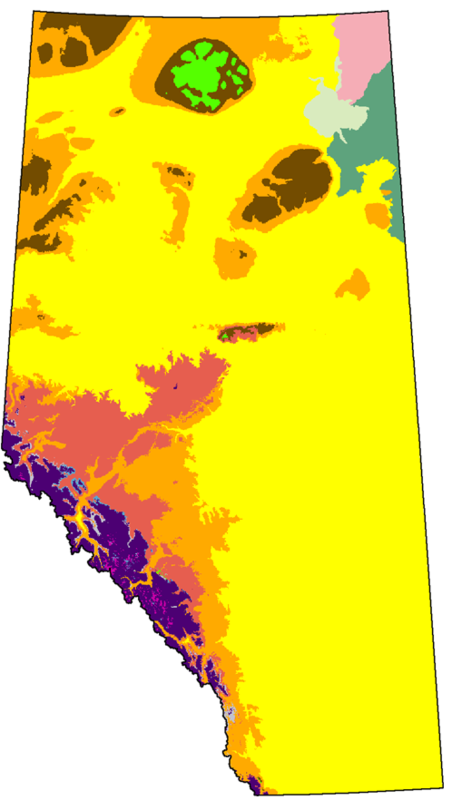 You can explore the projections for Alberta’s ecosystems under future conditions in this map gallery; three future scenarios represent different assumptions about the rate of future climate change. 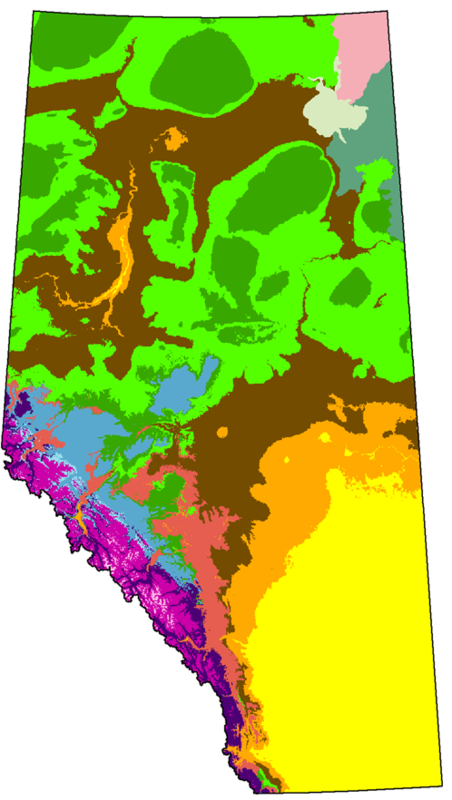 The data used to create the maps are also available for download. 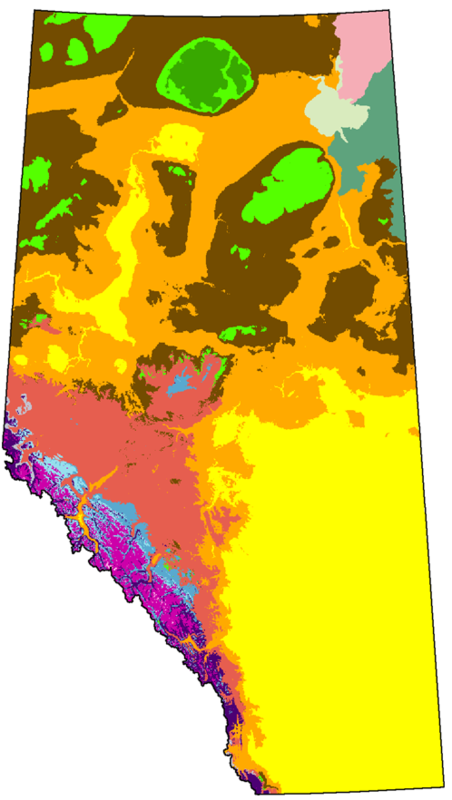 These maps are from the report Alberta’s Natural Subregions under a Changing Climate: Past, Present and Future (Schneider 2013).